We are betrothed in offering a high-quality range of Glass Connectors. Prior to dispatch, offered product is checked against varied parameters. As per the varying requisites of our customers, we are engrossed in bringing forth a world class consignment of Glass To Glass Connector. Widely cherished and acclaimed owing to their reliability, these are tremendously demanded in the market. Also, these are accessible with us in a at industry leading rates. 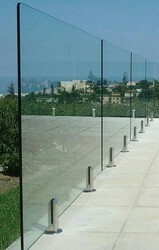 Banking on our enriched industry experience, we are able to supply Glass Runner. 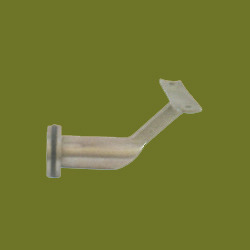 - It is use to the doors four glass connector with fin suitable to glass thickness 10 & 12 mm. Finishes: satin stainless steel (sss), Glossy(PSS).